I Love PATCHWORK Book I Love Patchwork Book by Rashida Coleman-Hale, published by Interweave Press - 21 Irresistible Zakka Projects to Sew. 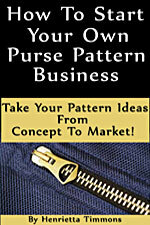 [IWP81422] - $12.49 : PursePatterns.com, Sew your own unique purse or bag! FREE shipping to USA only! 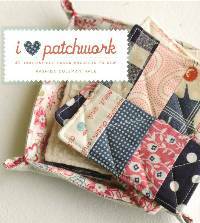 I Love Patchwork Book by Rashida Coleman-Hale, published by Interweave Press - 21 Irresistible Zakka Projects to Sew. What is "zakka"? 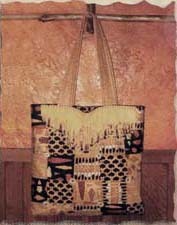 "Zakka" is a Japanese word meaning something that brings a sense of beauty and cheerfulness to your surroundings. 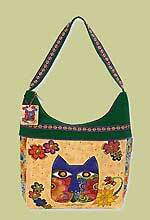 Anything from a well-made set of coasters to a colorful comfortable apron, fold-up Eco BAG or a flower mobile. 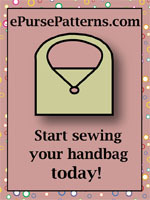 With just a few bits of fabric and simple sewing and applique techniques you can embellish your home and life with these sophisticated projects. 160 pages in a soft cover. This book is available for shipping to USA addresses ONLY, shipped FREE via USPS Media Mail with delivery time in 2 to 9 business days. Not available for delivery to non-USA addresses.